Manic Street Preachers are not a group of mentally handicapped priests and are in fact, an alternative rock band from Blackwood, Wales. The band were originally a quartet: lyricist and rhythm guitarist Richey Edwards vanished on 1 February 1995. In November 2008, thirteen years after his disappearance, he was officially declared presumed deceased. The Manics released their debut album, Generation Terrorists in 1992. Their combination of androgynous glam punk imagery, outspoken invective and songs about “culture, alienation, boredom and despair” soon gained them a loyal following and cult status. 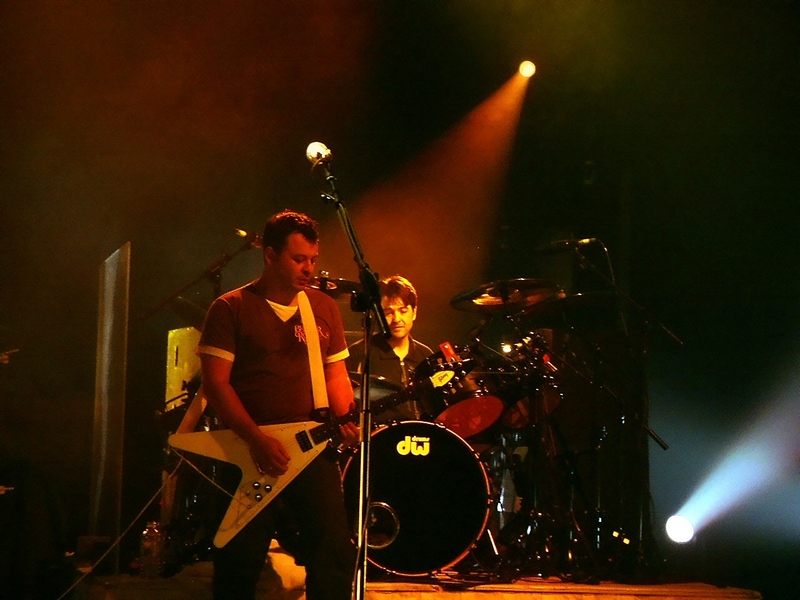 Following Edwards’ disappearance, the Manic Street Preachers went on to gain critical and commercial success, becoming one of Britain’s premier rock bands. They have had eight top ten albums and fifteen top ten singles. They have reached number one three times, with their 1998 album, This Is My Truth Tell Me Yours and the singles If You Tolerate This Your Children Will Be Next and The Masses Against the Classes. Their ninth studio album, Journal for Plague Lovers, was released on 18 May 2009 and features lyrics Edwards had left behind to the band weeks before his disappearance, and they released their tenth studio album, Postcards from a Young Man, on 20 September 2010.